Dr. Tayeb Lemlouma received an engineering degree in computer science from the University of Sciences and Technology Houari Boumediene (USTHB), Algies, Algeria, in 1999. After one year of M. S. in programming and systems in the USTHB University, he received a M. S. exemption from the French "Institut National Polytechnique" of Grenoble, France, in 2001, a Ph.D. degree in systems and software from the "Institut National Polytechnique" of Grenoble, in 2004, the French associate professor Qualification in computer science, in 2005 and the French Habilitation à Diriger des Recherche (HDR) in 2018. Dr. Lemlouma achieved his Ph.D. within the Opera research team (renamed WAM from 2002) in the National Research Institute in Computer Science and Control (INRIA Rhône-Alpes, Grenoble, France) from 2001 to 2002, then in the WAM research team (ex Opera, INRIA) from 2002 to 2004. He followed a Post-Doctoral position in the WAM team from 2004 to 2005. He was a member the Device Independence working group of the World Wide Web Consortium (DI-WG, W3C) from 2003 to 2005. From 2005 to 2006, he was a member of the RAM team in the LIA Laboratory of Avignon, France and a Temporary Lecturer and Research Assistant in the Avignon University. Dr. Lemlouma is currently associate professor (maître de conférences HDR) at the University of Rennes I (IUT de Lannion), France, and a member of the computer science Laboratory "Institut de Recherche en Informatique et Systèmes Aléatoires" (IRISA - UMR 6074) at Lannion, France. His current research interests include Context-awareness, Pervasive and Ubiquitous Computing, Context Profiling and Services/Content Adaptation, Smart and Media Services in Heterogeneous Environments and Smart Content Delivery. His research focuses currently on these topics in the context of smart environments and smart services in ehealth for elderly and dependent persons. Dr. Lemlouma holds one (1) book and authored or co-authored more than ten (10) peer-reviewed journal articles, more than thirty (30) peer-reviewed conference and workshop papers in addition to eighteen (18) industrial and research reports and one (1) W3C standardization note. Since 2001, he participated or still participates to regional, national, European and international research projects. Such in the CNPq-INRIA project (CEMT) between INRIA Laboratory (Rhône-Alpes) and the "Instituto de Informatica" of UFRGS - Brazil (2001-2002), he was the main actor in the industrial contract between INRIA Laboratory and Alcatel Bell - Belgium (2001-2004) with a production, as the main author, of many industrial deliverables and the coordinator of several related F2F meetings. He was a permanent member of the device independence (DI) working group of the W3C standardization consortium (2003-2005). He participated, as a leader of the mobility and services task, in the AGILE ANR project (submitted in 2008, obtained an A evaluation by the ANR and labeled by the Media & Networks Competitiveness Cluster). He co-coordinated (with B. Radier, Orange Labs - Lannion) the ANR project "Towards Autonomic Networking Architecture for Fixed/Mobile Convergence Enhancements and Mobility Management for Multiservice Users" with important industrial groups such as Orange Labs and Alcatel (submitted in 2009, obtained an A evaluation by the French ANR agency and labeled by the Media & Networks Competitiveness Cluster). He supervised the work of Selim Elouze (Orange, 2010-2013) mainly involved with the European FP7 project ENVISION (Co-optimisation of overlay applications and underlying networks). He is the leader and co-coordinator (with P. Roose, LIUPPA - Bayonne-Anglet) of the ANR DHSH project proposal (Digital Health Smart Homes) involving 9 important academic and industrial partners (submitted in 2013 and labeled by the Media & Networks Competitiveness Cluster). From 2009 to 2013, Dr. Lemlouma acted as an elected member (elected in 2009 then in 2011) in the Research Committee of the IUT of Lannion (Rennes I University). In October 2009, he acted as an Expert for the International Collaboration between the French CIEP (Centre International d'Etudes Pédagogiques) and Tunisia around the topic of the Evolution of Wireless Networks. From 2006 to 2008 he acted as a member of Network and Telecommunication Department Board (IUT of Lannion). In 2008, he participated as an external evaluator in the Faculty Recruiting Committee for the Associate Professor position MCF 1613, CNU 27 (IUT of Lannion - Rennes I University). He was the organizer, a member and the research contact of the Faculty Recruiting Committees (Selection Committees) for the folowing Associate Professor positions: MCF27RT2012 (2012/2013), MCF0895 (2010/2011), MCF339 (2009/2010) and MCF613 (2009/2010), CNU 27 (IUT of Lannion - Rennes I University) and the research contact of the University Professor position PR 342 (2009/2010), CNU 27 (IUT of Lannion - Rennes I University). As part of his professional activities linked to the computer science networking community, Dr. Lemlouma acted as the Chair of the International Workshop on Pervasive Services and Technologies for Telecommunications (PSTT 2009) fused with ICMUT'09 (International Conference on Ultra Modern Telecommunications and Control Systems). He is the organizer and General Chair of the International Workshop on e-Health Pervasive Wireless Applications and Services (eHPWAS 2013, 2014, 2015, 2016, and 2017) in conjunction with the IEEE WiMob conference, the Chair of the session "Services and Mobile Applications" (NGN-08) in the 48th IEEE International Conference on Communications (ICC 2013). He is/was a technical reviewer for the IEEE Transactions on Mobile Computing (2017), IEEE Wireless Communications Magazine, Special Issue on IoT: Protocol Stack, Cross-Layer, and Power Consumption Issues (2016), IEEE Wireless Communications Magazine (2013), the Elservier Journal on Ad Hoc Networks (2013), the IEEE Pervasive Computing Journal (2006 and 2007), and for the Special Issue on "Emerging Wireless Networks" of the Computers and Electrical Engineering Journal, Elsevier (2008). Associate Professor (Maître de Conférences - HDR) at the University of Rennes 1 - Institut Universitaire de Technologie (IUT) of Lannion. Hired in Septembre 2006 - Tenure in Septembre 2007. Researcher at "Institut de Recherche en Informatique et Systèmes Aléatoires" Laboratory (IRISA - UMR 6074), member of the Networks, Telecommunication and Services Department (D2) - Since Septembre 2006. 2018: Habilitation à Diriger des Recherche (HDR), Title: Contribution to Context-Aware and Adaptive Approaches for Services in Smart Spaces, Jury: Dr. Hassnaa Moustafa (Intel Corporation/USA), Prof. Dr. med. Christoph Thümmler (Edinburgh Napier Univ. & Helios Park-Klinikum, UK/Germany), Pr. Rémi Bastide (Toulouse Univ. ), Pr. Olivier Barais (Rennes 1 Univ. ), Pr. Nicolas Montavont (IMT Atlantique), 26 June 2018, Rennes, France. 2005: Post-Doctorate Degree "PDI: Industrial Post-Doc" (one year) at the National Research Institute in Computer Science and Control, INRIA Rhône-Alpes, France. 2004: Ph.D. (Doctorate's Degree) in Computer Science (Major: Systems and Software) from the "Institut National Polytechnique de Grenoble", Grenoble, France. Thesis Title: Multimedia Services Negotiation and Adaptation Architecture in Heterogeneous Environments (in french: Architecture de Négociation et d’Adaptation de Services Multimédia dans des Environnements Hétérogènes). Ph.D. Directors: Pr. Cécile Roisin and Pr. Nabil Layaïda. Ph.D. Defense Panel: J. Chassin De Kergommeaux (INPG -President), M. Riveill (Nice Univ. -Reviewer), H. Kosch (Klagenfurt Univ. -Reviewer), J-C. Dufourd (ENST Paris -Member), J. Grensel (Grenoble II Univ. -Member). Defended on: June 9, 2004. Master dissertation: "Routing in Mobile Ad Hoc Networks". 1999: Engineer Diploma in Computer Science (Major: computer systems), from the USTHB University, Algies, Algeria. Engineer dissertation: "Mise en Oeuvre d'un Protocole de Validation Atomique Basé sur le Consensus" (Consensus Atomic Commitment Protocol). 1995: "Baccalauréat" (Major: exact sciences) from Académie d'Alger. 1994: "Baccalauréat" (Major: exact sciences) from Académie d'Alger. Pupil in the "Gifted Class", a special class created in 1991 by the Ministry of National Education for gifted pupils. Class created at the HBB (ex French) secondary school. 2005-2006: Lecturer (Attaché Temporaire d'Enseignement et de Recherche / ATER temps-plein) at "Centre d'Enseignement et de Recherche en Informatique" (ex IUP) of the University of Avignon (Level: Master's students) and Researcher at the RAM (Réseaux, Applications, Multimédia) team. 2013: Invited Talk about "Context Awareness for Smart Spaces", JLSI'13 Days, LSI Lab, USTHB University, 12/13 November, Algiers, Algeria. 2004: Invited Researcher at Microsoft SR, Silicon Valley, March 15, 2004, USA. 5. Allal Tiberkak - eHealth Solutions in Smart Environments. Invited Ph.D. student. October 2014 to April 2016. French Supervision with Ahmed Bouabdallah. Algerian supervision with Pr. Abdelkader Belkhir..
4. Rim Jouini - Sensor Network Simulation for e-Health Services Predection in Smart Environments. Invited Ph.D. student. March (15th) 2015 to June (15th) 2015 ; Collaboration with Pr. L. A. Saidane (CRISTAL Lab - Tunisia); France-Tunisia Collaboration. 3. Selim Ellouze (co-Supervisor 60%, Director: Pr. Gerardo Rubino) - Mécanismes de collaboration entre réseaux et services applicatifs pour l'optimisation des ressources et des services - 01/2010 to 07/2013 - Funding: CIFRE Scholarship with Orange Labs - Lannion. Defended on July 2, 2013. 2. Joël Penhoat (co-Supervisor 60%, Director: Pr. Mikaël Salaün) - The Adaptation of Content Multicasted in a Context of Seamless Mobility - 01/2009 to 09/2012 - Funding: CIFRE Scholarship with Orange Labs - Lannion. Defended on September 2012. 1. Benoît Radier (supervisor participant from 2008 to 2009, Directors: Pr. Guy Pujolle and Pr. Mikaël Salaün) - Multi-Network Terminal Mobility Management with Autonomous System (Gestion de la Mobilité d'un Terminal Multi-réseaux par un Système Autonome) - Funding: CIFRE Scholarship with France Télécom Lannion (FT/RD/CORE/M2I/CRM). Defended on December 2009. 7. Nejm Eddine Frigui, Orange, Univ Rennes, IMT Atlantique, Defended on January 21, 2019 - (participation as co-director). 6. Saad El Jaouhari, IMT Atlantique Rennes, Defended on December 13, 2018 - (participation as examiner). 5. Zaineb Liouane (University of Rennes 1/ENIM [Tunisie]), Tunisie - Defended on June 30, 2018. 4. Haider Mshali (University of Bordeaux), Bordeaux - Defended on April 24, 2017. 3. 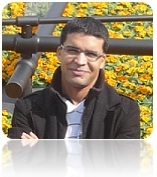 Selim Ellouze (University of Rennes I), ParisTech - Defended on July 2, 2013. 2. Boonwennesom Telesphore Tiendrebeogo, University of Bordeaux I, Defended on June 24, 2013 - (participation as an invited member/examiner). 1. Joël Penhoat (University of Rennes I), Orange Issy Les Moulineaux - Defended on September 2012. I am the co-coordinator (with P. Roose) of the ANR DHSH project involving four academic partners (IRISA UR1, LIUPPA, UPEMLV/LIGM, IRISA UBS) and five industrial partners (CEA, Technicolor, Athemium, ADITU, Alyacom). I am also the leader of the Autonomic Communication Architecture Task. ENVISION focuses on cross-layer approaches where: intelligent overlay applications are optimised for true end-to-end performance, network resources are dynamically mobilised to where they are most needed; and the content, the way it is accessed and distributed is adapted on-the-fly to what the network is able to deliver. I was the leader of the mobility and services task, in the AGILE ANR project (submitted in 2008, obtained an A evaluation by the ANR and labeled by the Media & Networks Competitiveness Cluster). I co-coordinated (with B. Radier, Orange Labs - Lannion) the AGILE project extension: "Towards Autonomic Networking Architecture for Fixed/Mobile Convergence Enhancements and Mobility Management for Multiservice Users" with important industrial groups such as Orange Labs and Alcatel (submitted in 2009, obtained an A evaluation by the French ANR agency and labeled by the Media & Networks Competitiveness Cluster). W3C DI Working Group (2003-2005) The World Wide Web Consortium (W3C) was working towards making the information of the World Wide Web accessible to various devices and achieving Web device independent authoring. The aim of the Device Independance (DI) Working Group is to avoid fragmentation of the Web space accessible with various kinds of devices. The group collects the requirements on Web access with various devices, reviews related specifications within and outside W3C, and describes techniques which allow authors to better manage device dependencies and propose recommendations in the areas of delivery context and device independent authoring. The DI Working Group has also committed to do what is required to move the "CC/PP: Structure and Vocabularies" Working Draft to Recommendation. I was a member of the DI WG ; during the WG several F2F meetings, audio conferences and technical plenary, I contributed with my experience regarding mobile devices environments, content adaptation, CC/PP, content negotiation, NAC architecture, etc. I am the co-author of a W3C note regarding the authoring techniques of a best content adaptability. INRIA-Alcatel Bell INRIA Project (2001-2004) The goal of the INRIA/Alcatel-Bell collaboration is the creation and the deployment of new services on the Internet for the heterogeneous environments. Our task is to ensure that these services should be provided independently to the delivery context (Device Independent Authoring). The objective is to design automatic methods that enable the negotiation of services and the adaptation of the content based on the terminals capabilities, the user preferences and the network characteristics. The approach consists in developing vocabularies that describe universal profiling that allow the description of the system components and consequently enable the adaptation based on these profiles. The adaptation considers formats that are widely used such as XHTML, VoiceXML or WML. I was the main actor of the industrial contract between INRIA and Alcatel Bell - Belgium with a production, as the main author, of six (6) industrial deliverables (30/06/2001, 30/09/2001, 31/12/2001, 31/03/2002, 31/06/2002, 10/2002), the coordinator of several related F2F meetings with the design and the implementation of the NAC (Negotiation and Adaptation Core) architecture. CEMT - CNPq-INRIA project (2001-2002) The goal of the CEMT project is to develop a cooperative environment for the edition of multimedia documents, using Workflow concepts to coordinate the editing and rendering tasks. This project is a cooperation project CNPq-INRIA between the Opera project (INRIA, France) and Instituto de Informatica at UFRGS (Brazil). My contribution is to integrate content and services negotiation and adaptation mechanisms in the E-learning system following the proposed workflow model. 8. Steering committee member of the AI2SD'2018 conference, (2018). 7. Organizer and General Chair of the 5th International Workshop on e-Health Pervasive Wireless Applications and Services (eHPWAS 2017) in conjunction with the 13th IEEE WiMob conference, Rome, Italy, 2017. 6. Organizer and General Chair of the 4th International Workshop on e-Health Pervasive Wireless Applications and Services (eHPWAS 2016) in conjunction with the 12th IEEE WiMob conference, New York, USA, 2016. 5. Organizer and General Chair of the 3rd International Workshop on e-Health Pervasive Wireless Applications and Services (eHPWAS 2015) in conjunction with the 11th IEEE WiMob conference, Abu Dhabi, UAE, 2015. 4. Organizer and General Chair of the 2nd International Workshop on e-Health Pervasive Wireless Applications and Services (eHPWAS 2014) in conjunction with the 10th IEEE WiMob conference, Larnaca, Cyprus, 2014. 3. Organizer and General Chair of the first International Workshop on e-Health Pervasive Wireless Applications and Services (eHPWAS 2013) in conjunction with the 9th IEEE WiMob conference, Lyon, France, 2013. 1. Chair of the International Workshop on Pervasive Services and Technologies for Telecommunications (PSTT 2009) fused with ICMUT'09 (International Conference on Ultra Modern Telecommunications and Control Systems), 2009. 9. Technical reviewer for the Springer Journal of Applied Intelligence, impact factor: 1.904, (2018). 8. Technical reviewer for the Sensors Journal, impact factor: 2.677, (2018). 7. Review Board Award Certificate from the Excellent Springer Journal of Applied Intelligence, impact factor: 1.904, (November 2017). 6. Technical reviewer for the journal IEEE Transactions on Mobile Computing (2017). 5. Technical reviewer for the IEEE Wireless Communications Magazine, Special Issue on IoT: Protocol Stack, Cross-Layer, and Power Consumption Issues (2016). 4. Technical reviewer for the IEEE Wireless Communications Magazine, Series: Research & Standards: Leading the Evolution of Telecom Network Architectures (2013). 3. Technical reviewer for the Elservier Journal on Ad Hoc Networks (2013). 2. Technical reviewer for the Special Issue on "Emerging Wireless Networks" of the Computers and Electrical Engineering Journal, Elsevier (2008). 1. Technical reviewer for the IEEE Pervasive Computing Journal (2006, 2007). 2. Guest Editor of the Information Journal, Special Issue on e-Health Pervasive Wireless Applications and Services, (2018). 1. Editorial Board Member, MASAUM Journal of Computing (MJC), ISSN 2076-0833, Volume (1), Issues (1, 2 and 3), August, September and October, 2009. - IWCMC 2019 QoS and QoE, 2019. - IEEE Workshop eHPWAS'18 (14th IEEE WiMob), 2018. - MoWNet'16: International conference on selected topics in Mobile and Wireless Networking, Cairo, Egypt, April 11-13, 2016. - ICC'14 SAC: e-Health Track of ICC 2014 Selected Areas in Communications Symposium, Sydney, Australia, June 10-14, 2014. - IEEE Workshop eHPWAS'17 (13th IEEE WiMob), 2017. - SuCDA'16 (7th ANT), 2016. - IEEE Workshop eHPWAS'16 (12th IEEE WiMob), 2016. - IEEE Workshop Self-IoT'15 (12th IEEE ICAC), 2015. - IEEE Workshop eHPWAS'15 (11th IEEE WiMob), 2015. - IEEE Workshop eHPWAS'14 (10th IEEE WiMob), 2014. - IEEE Workshop eHPWAS'13 (9th IEEE WiMob), 2013. - IEEE Workshop QoS-QoE'13 WS (9th IEEE IWCMC), 2013. - IEEE Workshop WISe, 2009. Member of the Networks, Telecommunication and Services Department (D2) Board of the IRISA Laboratory - since Sept. 2012. Member of the ISA (Informatique et Systèmes Aléatoires) hearing Panel of Ph.D. candidates for ministerial funding, Matisse Doctoral School, Rennes, July 2012. Elected member (elected in 2009 then in 2011) in the Research Committee of the IUT of Lannion (Rennes I University) - 2009-2013. Organizer, Member and the Research Contact of the Faculty Recruiting Committees (Selection Committees) for the folowing Associate Professor positions: MCF27RT2012 (2012/2013), MCF0895 (2010/2011), MCF339 (2009/2010) and MCF613 (2009/2010), CNU 27 (IUT of Lannion - Rennes I University) and the Research Contact of the University Professor position PR 342 (2009/2010), CNU 27 (IUT of Lannion - Rennes I University). Head of the Networking thematic - Licence (since 2010) and 2nd years students (since 2011), IUT of Lannion, University of Rennes. Initiator and Designer of the new pedagogic platform on pervasive services and networking using mobile devices (2 Android, 2 iPhone-4 with a wireless network platform), 2nd years students, IUT of Lannion, University of Rennes - since 2011. Expert for the International Collaboration between the French CIEP (Centre International d'Etudes Pédagogiques) and Tunisia around the topic of the Evolution of Wireless Networks - October 2009. Member of Network and Telecommunication Department Board (IUT of Lannion, University of Rennes) - from 2006 to 2008. External Evaluator in the Faculty Recruiting Committee for the Associate Professor position MCF 1613, CNU 27 (IUT of Lannion - Rennes I University) - 2008. Animator of the research activity on services and networking at Lannion for the IRISA Laboratory - since 2006. Initiator and Designer of the new national training modules : PPN M3105 (Advanced Networking Services), PPN ATW02 (Smart Networks), PPN M3101 (Wireless Infrastructure) and PPN ATW01 (Advanced Supervision) - 2nd years students, IUT of Lannion, University of Rennes - since 2014. Initiator and Designer of the new national training module PPN MC-5 on Mathematics for Computer Science and Networking (Mathématique pour les Réseaux et l'Informatique) - 2nd years students, IUT of Lannion, University of Rennes - since 2006. Initiator and Designer of the new training module on IP Multimedia Subsystem (IMS), Licence years students, IUT of Lannion, University of Rennes - since 2008. Academic Tutorship - 1st years students (since 2007), IUT of Lannion, University of Rennes. Network programming and advanced administration (protocols, proxy, security, server and client programming), dedicated servers administration (under Linux - Debian Sarge), Embedded Visual C++ for mobile devices, Objective-C for iPhone, Java for Android (min 4.1.2), J2ME, Java Midlet and Servlet Technology, PHP, JSP, MySQL, data base administration, phpMyAdmin, C, C++, C++ Builder, Visual C++, Visual Basic, Delphi, OpenGL (GLScene) under delphi, Pascal.. Web Technologies: XML, SMIL, XSLT, SVG, XQuery, SOAP, Apache and Tomcat servers..
Social Networking: Twitter, LinkedIn and Facebook API. Other Technologies: many other industrial technologies such as DLNA and UPnP, etc. 20. eHealth Monitoring Open Data Project : The eHealth Monitoring Open Data Project provides free online data sets related to the monitoring of dependent persons such as elderly. Data are generated using simulations or collected from real life platforms using real sensors. Targeted systems are typically: smart home-health (or institution-health) monitoring systems, March 2015. 18. Smart Auto-Dep : Toward a Context-Aware and Automatic Evaluation of Elderly Dependency in Smart Homes and Cities (ZIP v. Feb. 2013: SmartAutoDep.zip) - Feb. 2013. 16. An Easy Cellular Gateway for Providing Shared Services and Data: Platform of several modules to ensure a services gateway between wireless and wired devices - 2010. 9. VideoPersonalization: Create and personalize video content (adding subtitles, logos, etc.) using the SMIL technology (Application). The application was developed initially to transform SMIL content to Video content. 8. Video Transmitter: A Java application for live video personalization (real time insertion of logos, etc. ), see the NAC architecture. 7. Stream Saver: A Java application for local storage of live media streams (video, audio, etc.) and remote files. 5. Mobile SMS Sender: A JAVA API that can send short SMS to mobile phones. The APIs is based on the use of an SMS gateway.